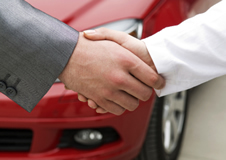 Buying a car – new or used – can be a wonderful thing, but deciding which one to pick can be a stressful process. You want one that’s reliable yet not too expensive, economical as well as being fun, and of course you’ll need to factor in things like the colour you want or the brand you like. But where do you start? Well, our friends at Sainsbury’s Bank are on hand to help! They’ve broken down the process of buying a new or used car and have taken a look at everything you need to think about, from your budget to the type of car, and even what to look for during the test drive, covering all the bases so you can be more confident that you’ve made the right choice. You can check out their handy infographics by clicking the links below, and once you’ve got that piece of the puzzle sorted, it all comes down to finding the right insurance to suit your chosen motor. Again, there’s a lot to think about, from the type of insurance you want (third party, third party fire and theft, fully comprehensive?) to any additional features you want to include (such as breakdown assistance or legal cover) and even the level of excess, all of which can have a bearing on the price you pay. However, so can finding the right insurer! Different companies will always offer different prices, so it’s vital to compare the options to see what’s out there. Don’t fall for the trap of thinking that your current insurer will offer the best price for your new car – loyalty doesn’t always get you places when it comes to insurance, but shopping around does! If it’s time to get a new policy, don’t sign anywhere until you’ve used our price comparison tool, and make sure to read our guide on car insurance so you know just what to look out for.